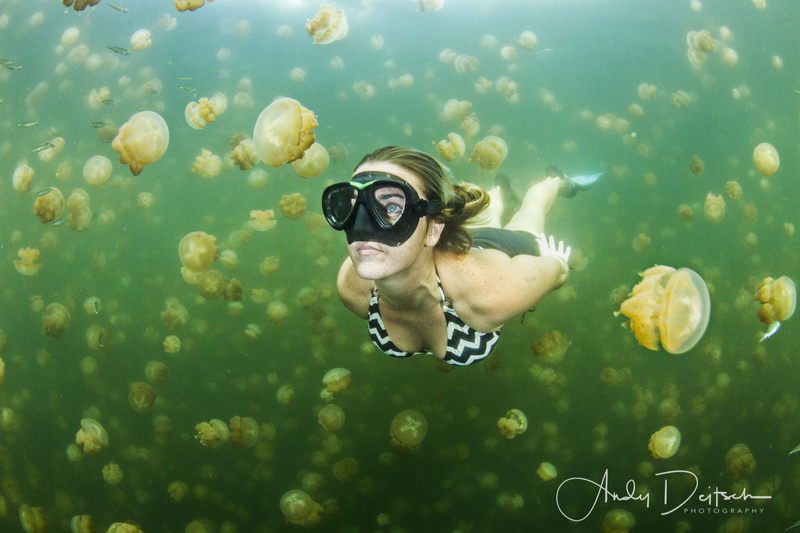 Jellyfish Lake in Palau is a saltwater lake. There are millions of jellyfish in the lake that migrate en masse from one end to the other as they follow the sun. The jellyfish have algae living inside them that they harvest and use as nutrition. It has been claimed that these jellyfish have lost their ability to sting but in fact, they can sting it's just so weak that we don't feel it. Scuba diving is not allowed in the lake so this image was captured while snorkeling. It took numerous attempts working with the model to get the shot.